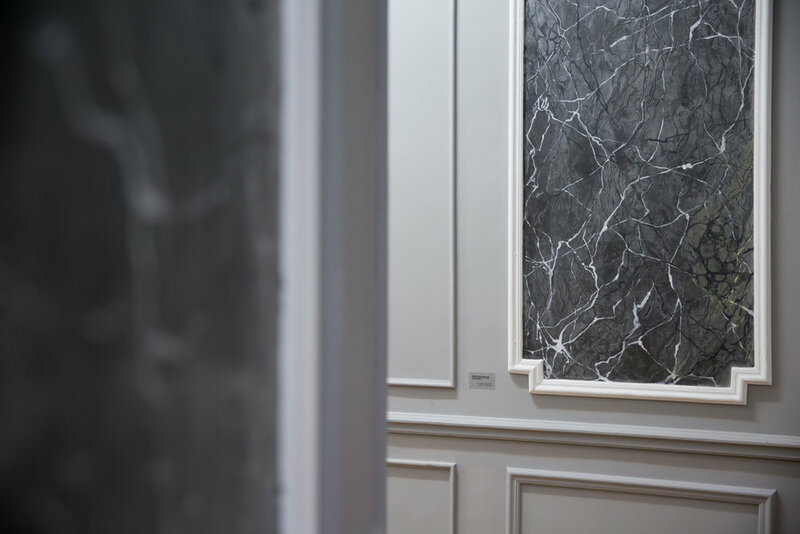 Gypsum Gallery is pleased to present A New Commission for an Old State, Mahmoud Khaled’s second solo exhibition at the gallery following his first one in 2014. 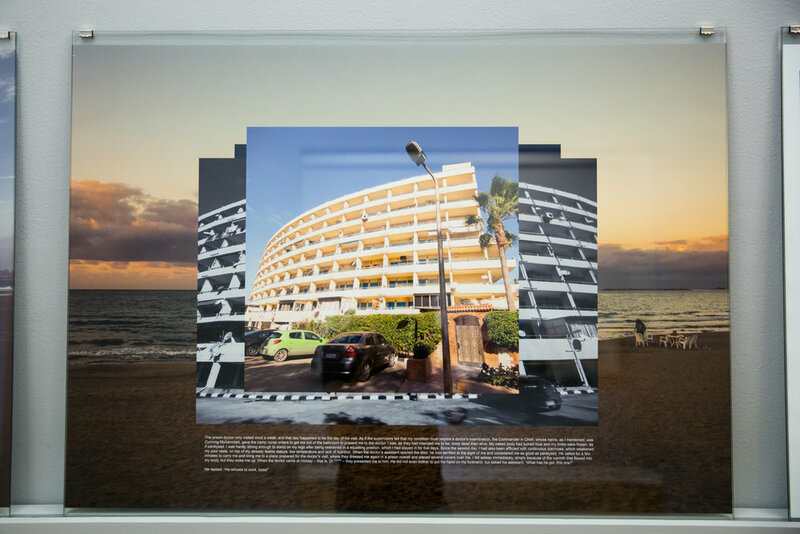 In this site-specific show, the artist explores associations between aesthetic and political cues that accompany recurring waves of rebranding nationhood. 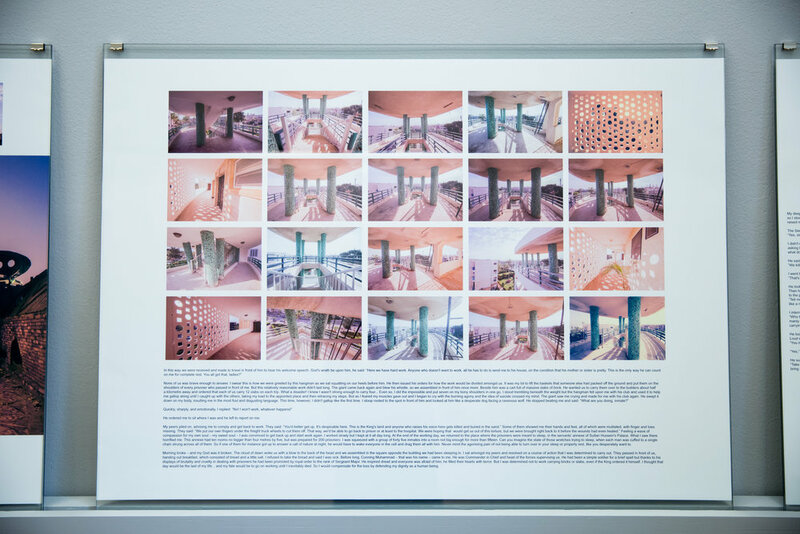 Khaled’s research-based approach embeds archival sources in an artistic narrative. 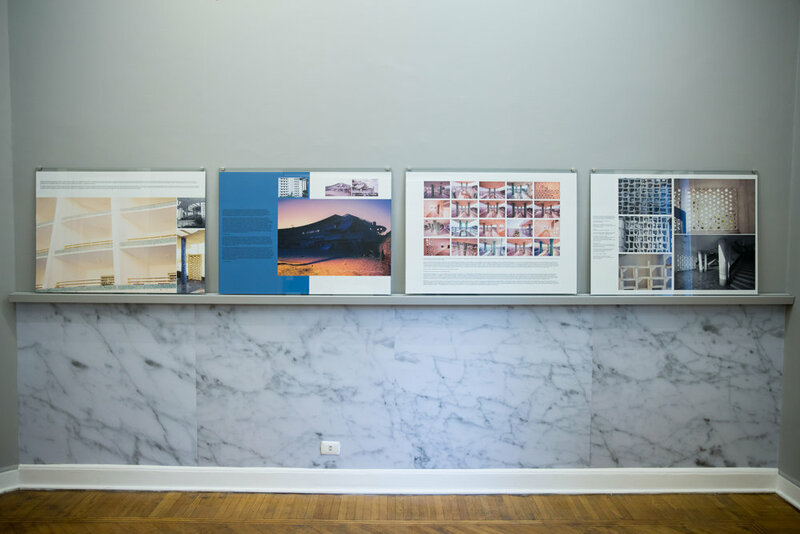 He attempts to critically engage with the burden of a nostalgia to a fabled golden age and state-sanctioned processes of constructing collective memory. 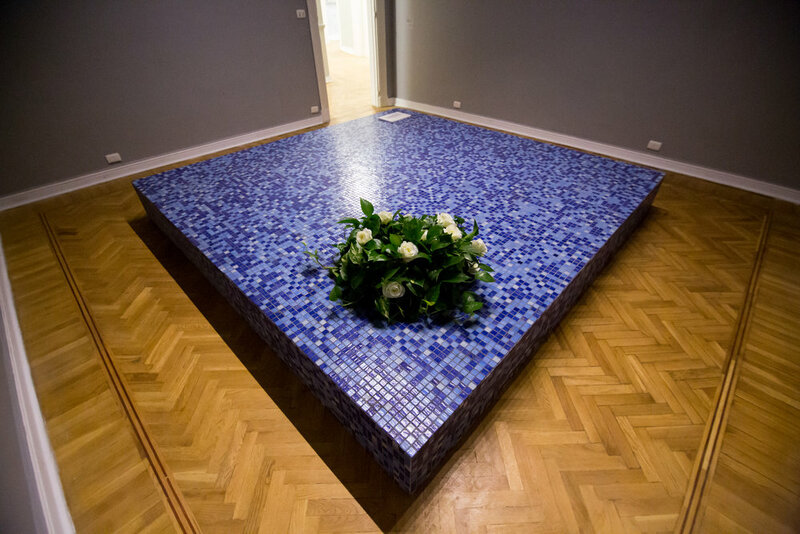 Reenacting formal and conceptual aspects of memorials, Khaled focuses on three iconic artifacts within the Egyptian context. 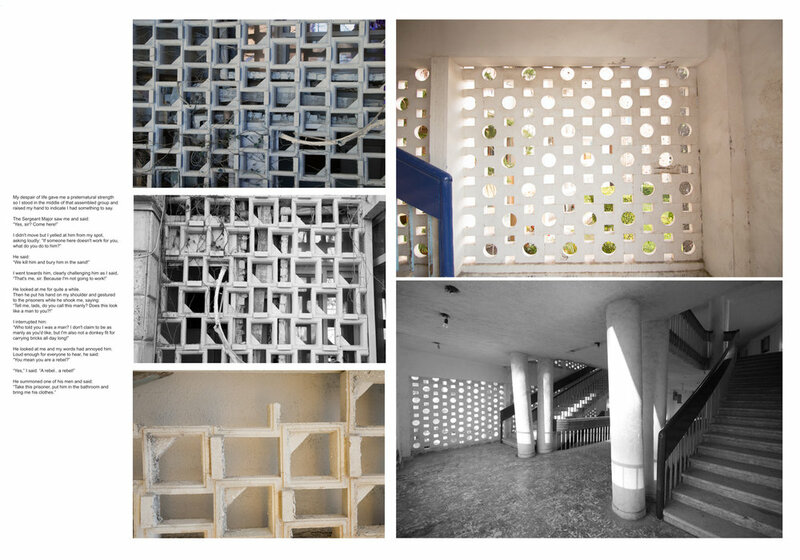 The first is a gated summer resort in Alexandria called Maamoura built by the state shortly after Gamal Abdel Nasser came to power to accommodate the new elite of the “rebranded” (post-1952) Egypt, a significant yet painfully understudied monument of modernist architecture in Egypt. The second is a landmark text titled “Maamoura's Victims” written by Judge Hassan Jalal, a harsh critic of the Egyptian monarchy. Published in 1955 in a renowned Arabic literary magazine, the text reports on the horrendous conditions and systematic tortures in a prisoner camp on the deposed King Farouk's properties, which later became the land on which Maamoura was built. 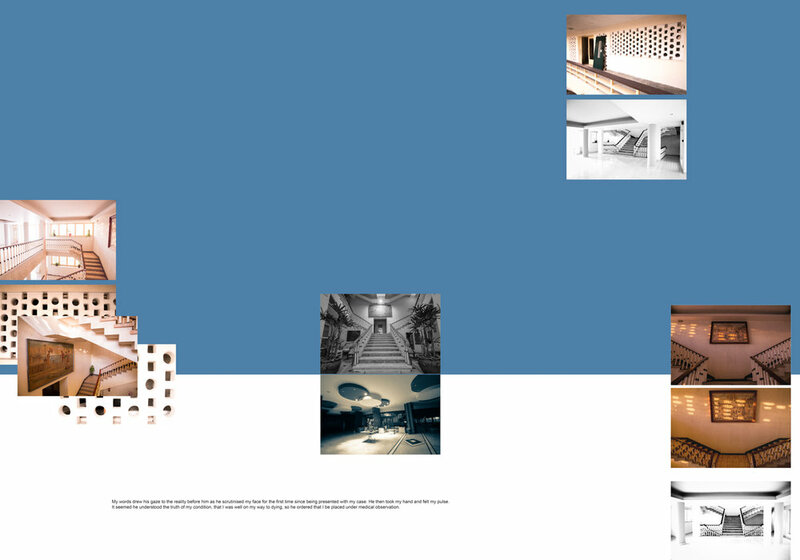 Jalal’s text serves as a reference to the political layers of the exhibition, bridging different epochs in the history of modern Egypt. The haunting similarities between the methods of the monarchy and the republic put the document in a completely different light, making it even more relevant when read in the present. The third artifact is a 1961 film by Youssef Chahine titled A Man in My Life, a remake of Douglas Sirk’s Magnificent Obsession from 1954. A Man in My Life, a relatively unknown work within Chahine’s filmography, started production in Maamoura a few months after it officially opened in 1959. 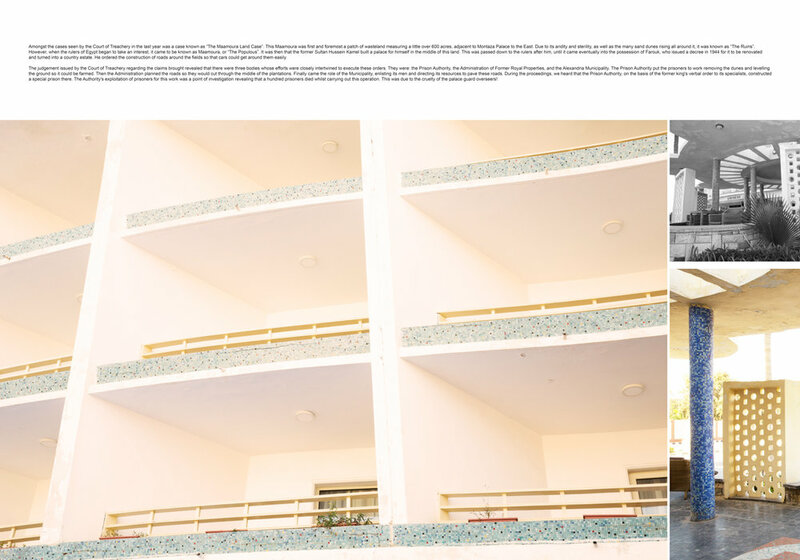 The story revolves around the life of a fictitious architect who is known for his remarkable modernist style and who has built one of Maamoura’s most memorable buildings, which is used as a backdrop in the opening scene of the film. 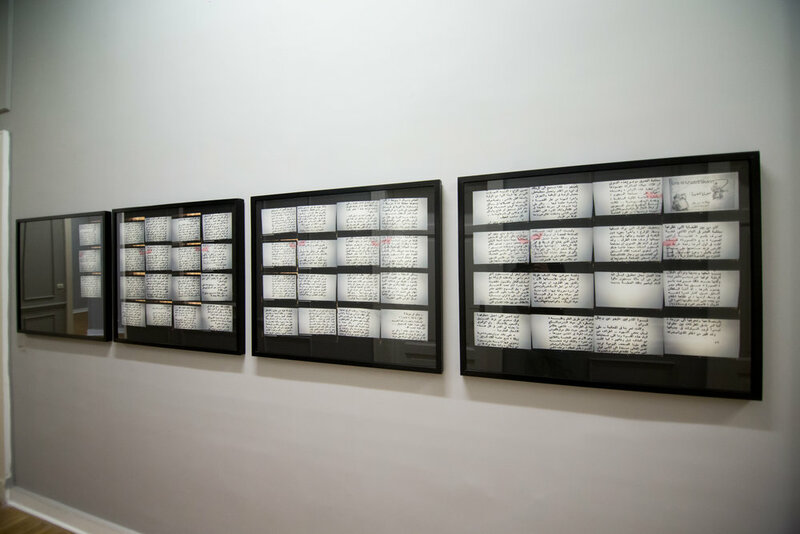 The show is composed of individual works that act as amalgamations of materials and appropriations created by Khaled in use of the above references. 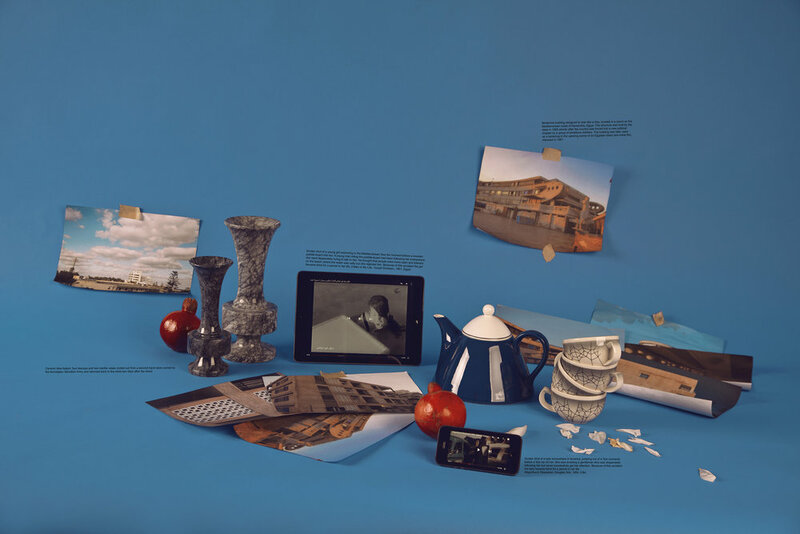 Still Life (Notes on Justice) reflects on still life photography as a genre, and its potential to present infinite possibilities for artistic compositions of disparate sources and material. 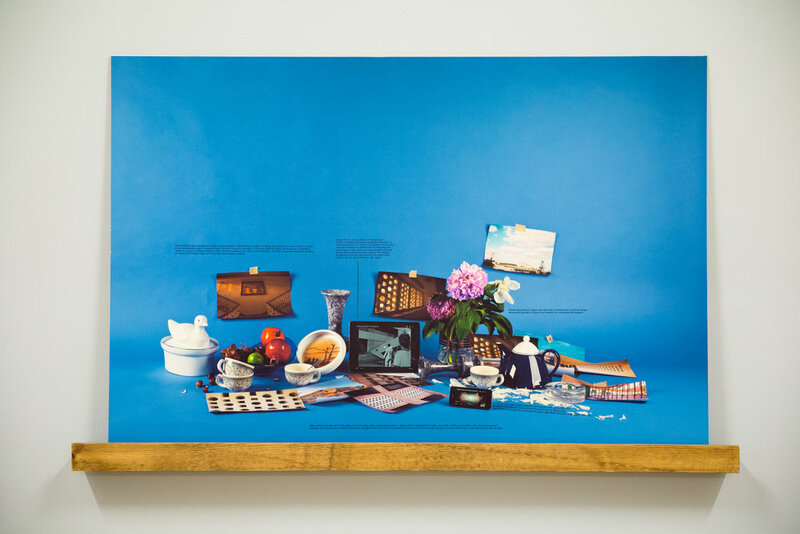 Pinned against a chroma blue, the work is an objectification of a mass of research material that the artist was compelled to freeze in its current moment of mapped-out associations. 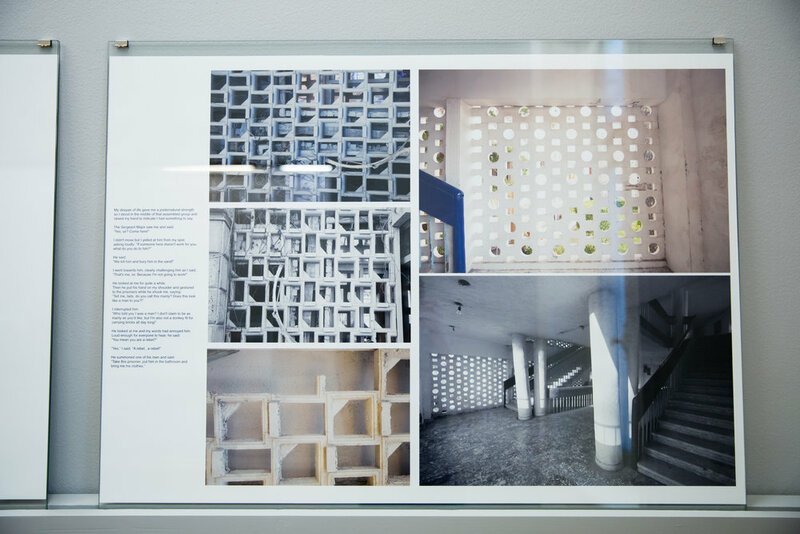 In A Rare Glimpse into the Recent Moments When People Lived in a World Turned Upside Down- its title appropriating a subheading in Jalal’s text- Khaled creates a series of plates reminiscent of architectural retrospectives and archival exhibits, resting on a digitally reproduced pattern of marble walls. 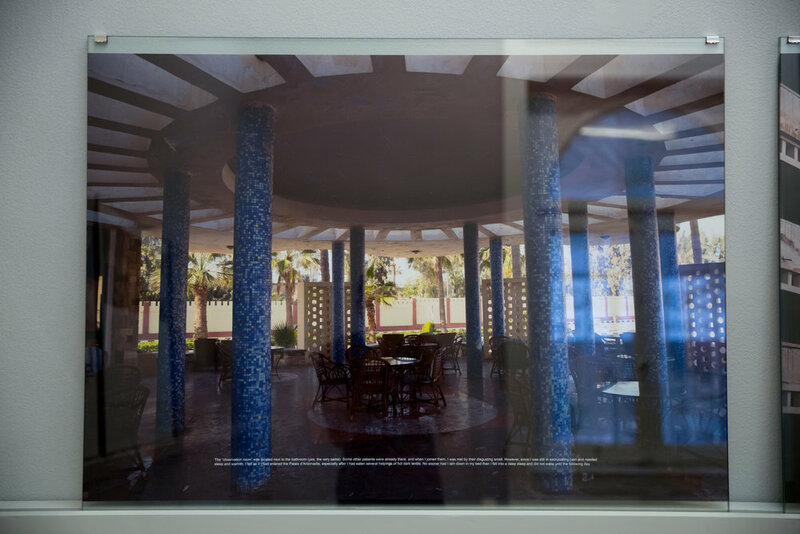 The work presents compositions that interject excerpts from Jalal’s text with photographs shot by the artist in Maamoura. 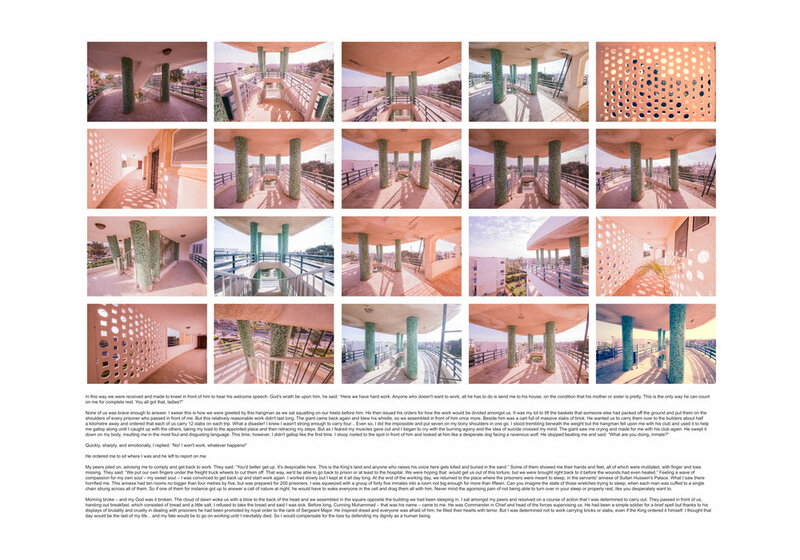 In place of descriptive information, the text tells anecdotes and offers clues to conditions surrounding the featured structures. 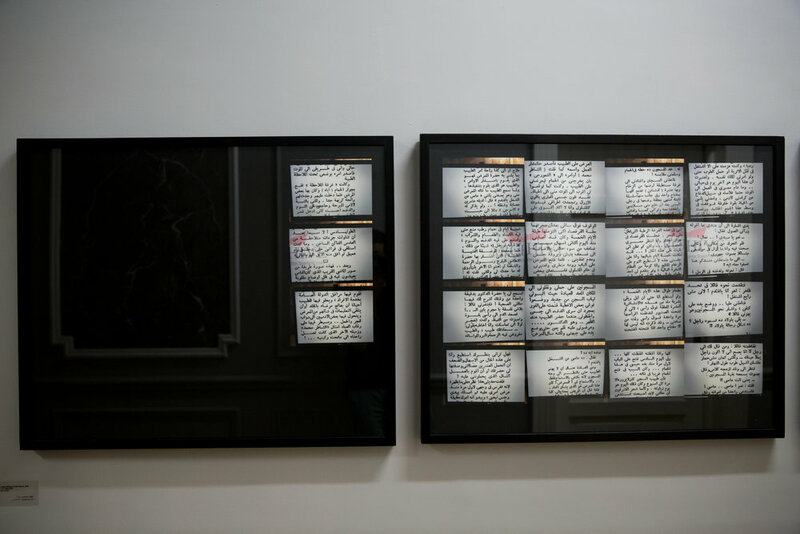 In a corridor mirroring institutional displays, Jalal’s text is featured as dissected parts of its whole, making prominent its presence as an artefact that preserves its own language, temperament and political charge rather than a silent footnote. 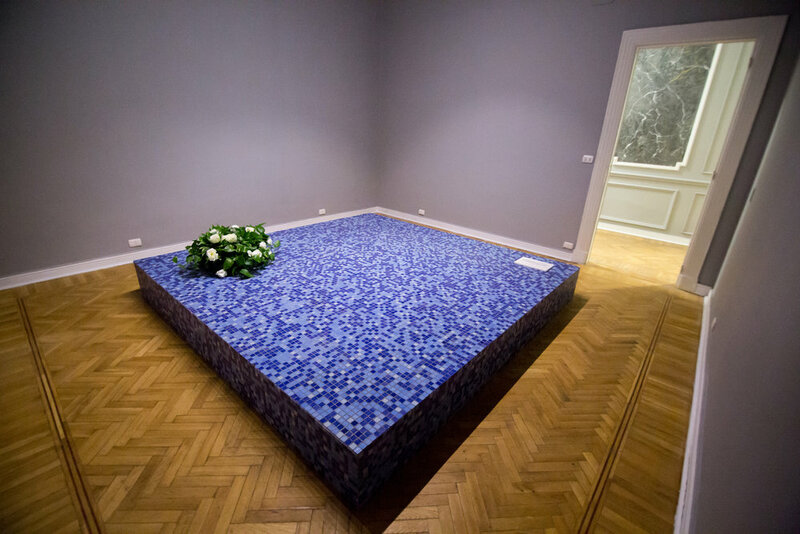 Abstracted Commemoration of Unknown Things lies in the middle of a neighboring room: a stifling memorial covered in a mosaic of blues. 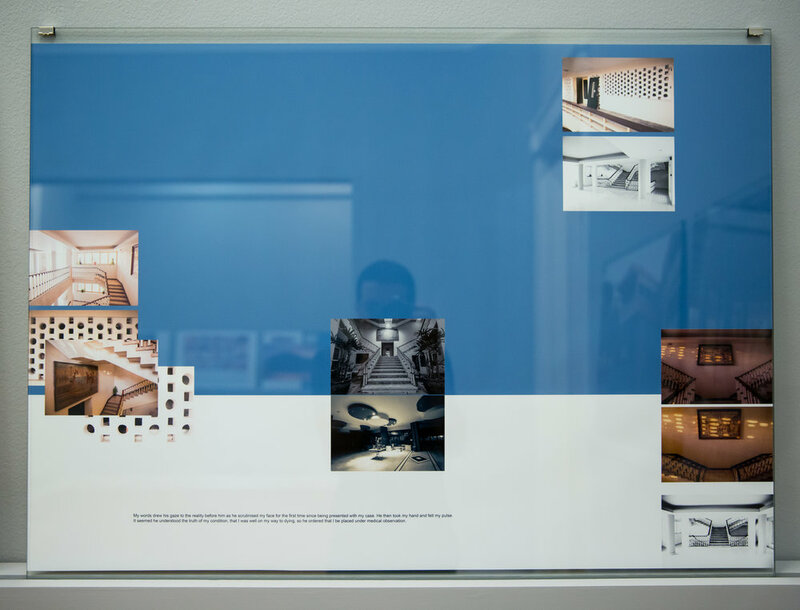 Composed of modernist patterns and state-institution gestures, the installation is a culmination of the artist’s investigative concern with formalist articulations of his subjects and sources. 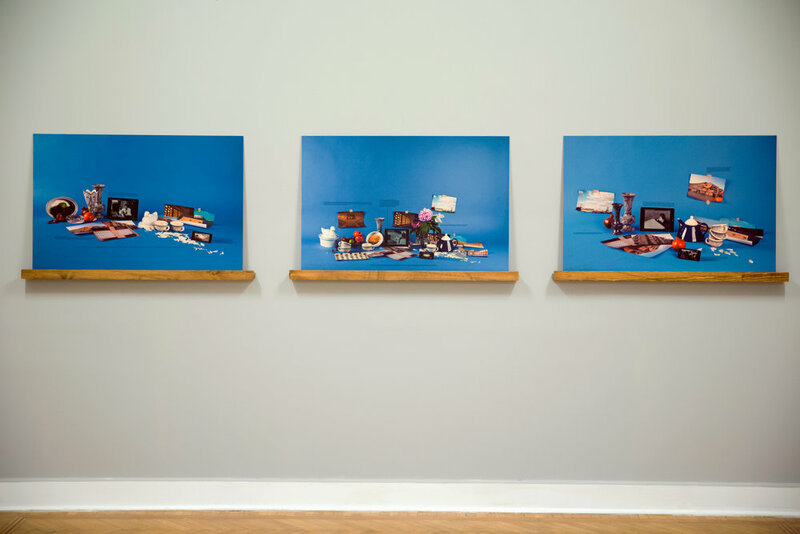 The work re-enacts the creation of indecipherable objects intended to hold collective meaning. 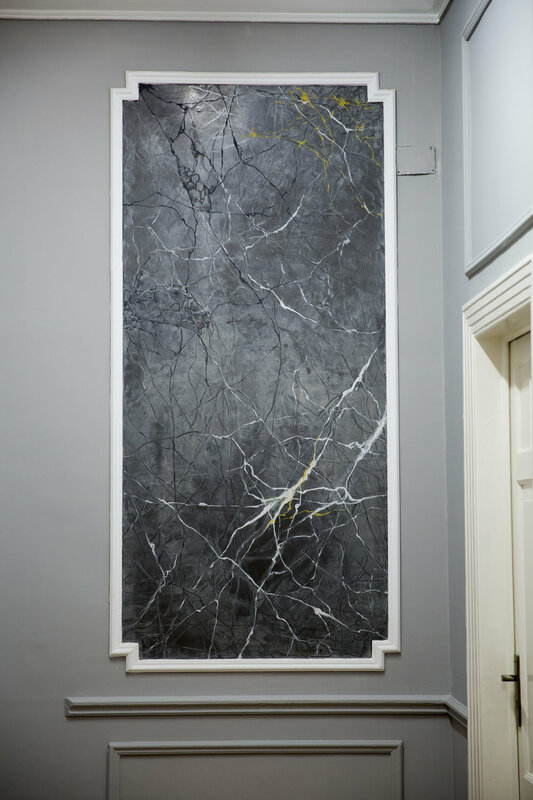 In a final act of site-specific intervention, the artist creates a series of trompe l’oeils mimicking stones of marble, designed to fit into the architecture of the gallery space. The frequent use of stone is classically a statement of power and in parallel; the reduction of marble to painted copies is a statement on the spectacles of fake wealth and superfluous displays.